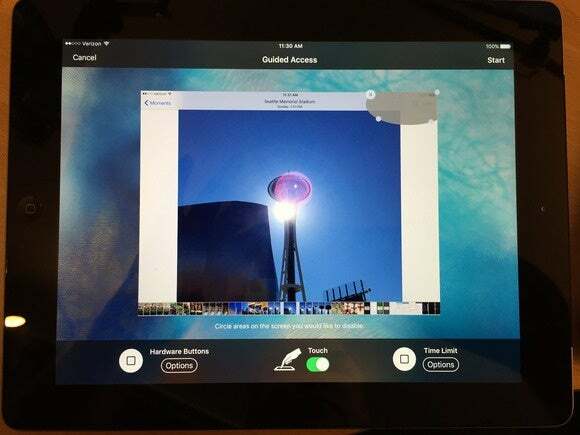 Control what features a user can access using Guided Access. I said there was no way to prevent someone using your iOS or OS X device from using the delete feature, but Ralph van Doorn wrote in with an excellent suggestion! 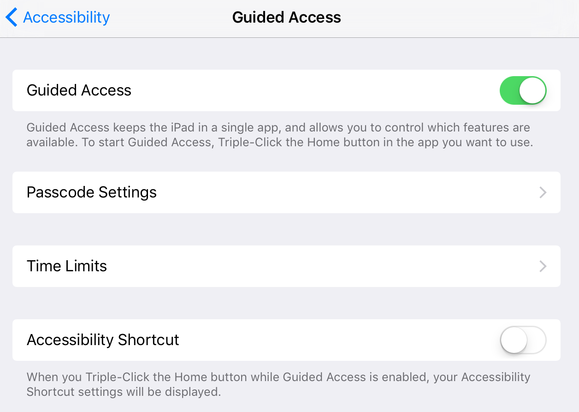 I would recommend that you set the iPhone or iPad on Guided Access and disable the delete button. 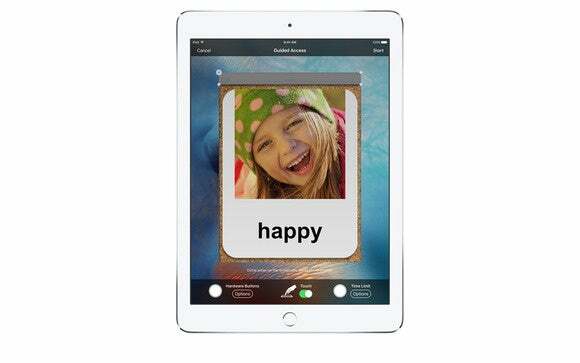 You set it once, and whenever I give my iPad to my son, I start Photos, and triple-click the home button to start Guided Access, and I don’t have to worry about photos being deleted. Enable Guided Access to create a locked app view with restricted areas. Tap Guided Access to on. Navigate to a photo view that includes the Delete (trash can) button. Now you can circle areas you don’t want someone to have access to, like the Delete button. Enter a passcode that lets you unlock Guided Access later. Hand to the other person. A Guided View prevents areas in an app from being used. You can disable the mode by triple-pressing Home and entering the passcode you set. Parental Controls in OS X don’t offer a similar restriction, so you still need to be wary there. Check out our slideshow for more Accessibility features that can come in handy for everyone.